The number of fully electric and plug-in hybrid cars on the world’s roads has passed the 3m mark, as manufacturers ramp up their plans for mass production of battery-powered vehicles. Industry watchers said the milestone was passed in November, with the growth rate indicating that electric car sales are now running at around 1m a year. The rapid growth is being driven by government incentives, manufacturers launching models for a wider mix of drivers and falling battery costs. EV-Volumes, a Sweden-based group that tracks the global electric car market, predicted sales will accelerate next year and bring the total number of battery-powered cars on the roads to around 5m by the end of 2018. Next year will see a raft of new models from big manufacturers, including a longer range version of the Nissan Leaf, the world’s best selling electric car, as well as larger models such as the Jaguar iPace. Despite production problems at electric car poster child Tesla, the US company’s flagship mass market Model 3 has been rolling out to customers in the United States. EV Volumes said that China, the world’s biggest market for electric cars, was in the “global driver seat” when it comes to growth. 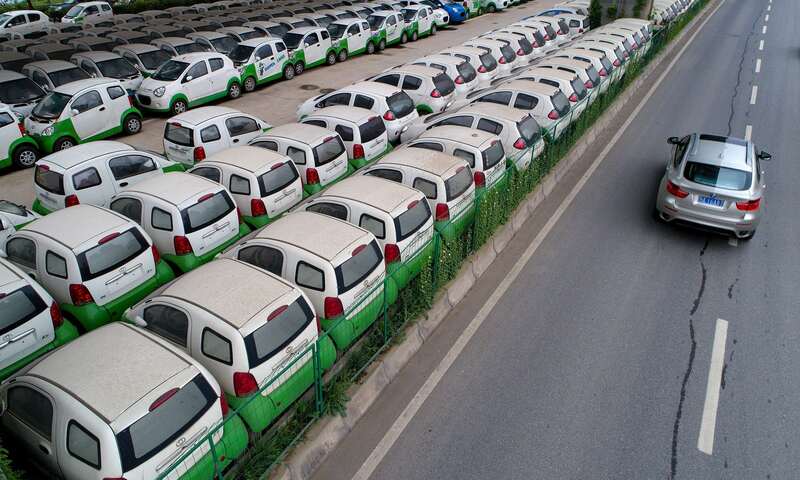 Beijing is encouraging drivers to buy electric with a suite of incentives, as it attempts to tackle its smog problems. China is also the first market targeted by Toyota for the 10 electric car models it plans to sell by the early 2020s. The world’s second biggest carmaker said this month that by around 2025 it would stop launching new petrol and diesel cars without a partially or fully electric version, in a pledge similar to ones made by Volvo and Jaguar earlier this year. The Japanese firm hopes the moves will see it sell a million electric cars a year by 2030. Industry watchers said the plan marked a shift in direction for Toyota, which led the take-up of hybrid cars with the launch of the Prius 20 years ago. “For the last decade they have been very much wedded to a hydrogen future,” said Ben Lane, director of Next Green Car. VW, which overtook Toyota as the world’s biggest carmaker in January, is among rivals who have recently set electric car sales goals, also targeting 1m a year albeit by the earlier date of 2025. The number of models Toyota is planning is similar to rivals such as BMW, which aims to offer 12 by 2025. Toyota also said that it aimed to launch a new generation of batteries in the early 2020s that would enable electric cars to travel further, using solid-state technology that allows batteries to be cheaper, safer and offer more capacity. “Solid state batteries are significant because [they] take a lot less time to change, they are lighter and give more range,” said a Toyota UK spokesperson. This month BMW said it was also pursuing the use of solid-state batteries in electric cars, as it announced a partnership with US battery firm Solid Power. The German firm announced it had sold 100,000 electric cars in 2017, up 60% on last year. While electric car sales are growing fast, analysts noted that 1m is still a small fraction of the 80m cars sold worldwide each year. “Fears in the media about [oil] demand destruction from electric vehicles in the short term are misplaced,” said Chris Midgley, global head of analytics at energy pricing agency S&P Global Platt. However, the growth rate indicated by EV Volume’s predictions is pushing the competition between global car makers into the arena of next-generation models.